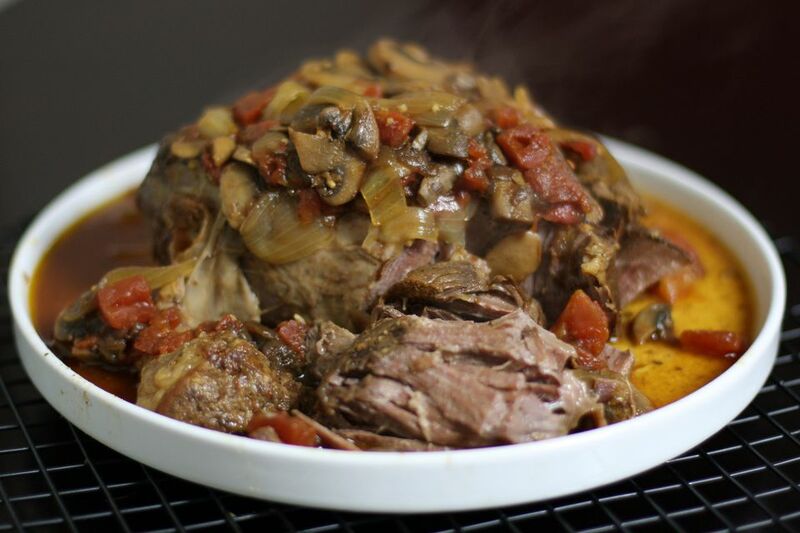 French onion soup and tomatoes add flavor to this delicious pot roast. Serve this pot roast with potatoes and a tossed salad for a hearty weekday meal. Rub the roast all over with the steak seasoning blend or salt and pepper. Heat olive oil in a large skillet over medium-high heat. Sear the roast on all sides, about 2 to 3 minutes per side. Transfer the roast to the crockery insert of the slow cooker. In the same skillet, saute the onion and mushrooms over medium heat until the onions are lightly browned. Add the soup, ketchup, Worcestershire sauce, and diced tomatoes and bring to a boil. Pour over the roast in the slow cooker. Turn to LOW and continue cooking for 7 to 8 hours, or until tender.